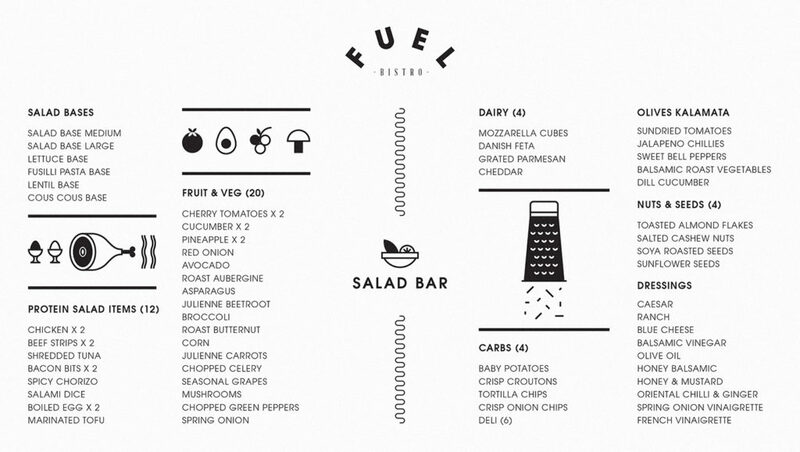 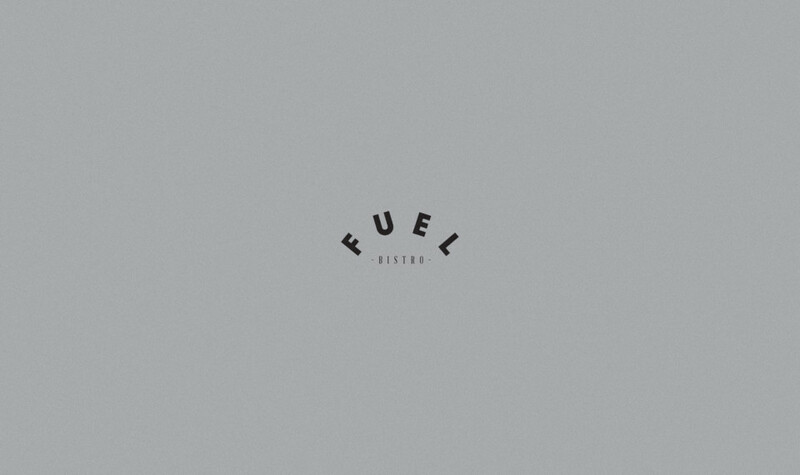 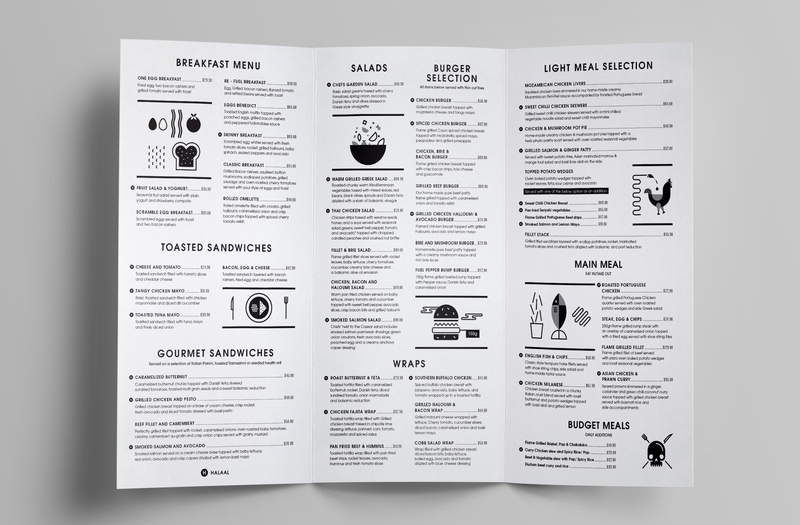 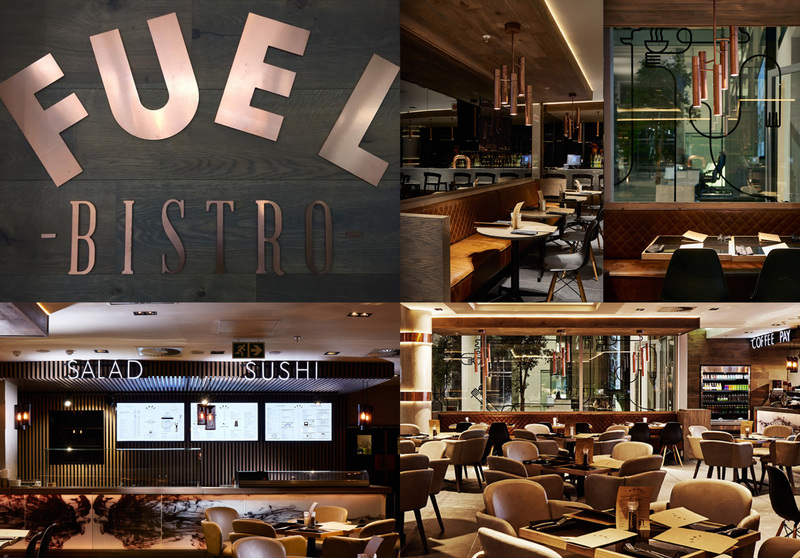 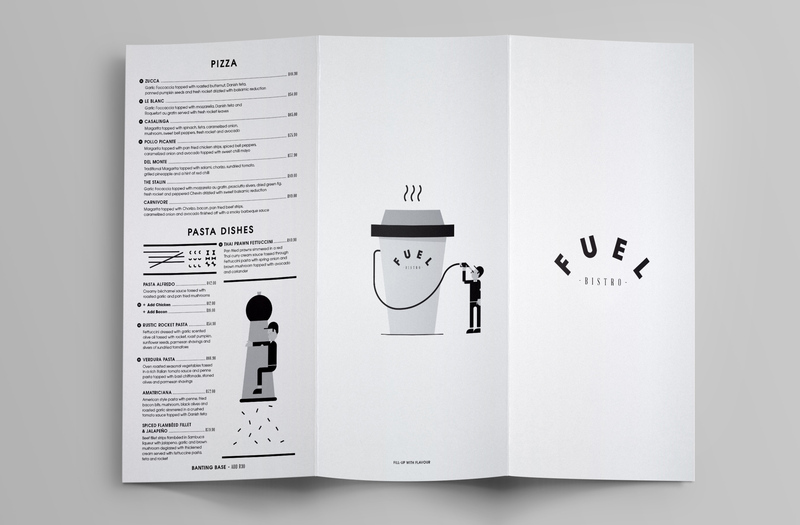 Working with our friends at Studio A, we created a playful and quirky brand for Fuel Bistro, a restaurant in the heart of Sandton, Johannesburg. 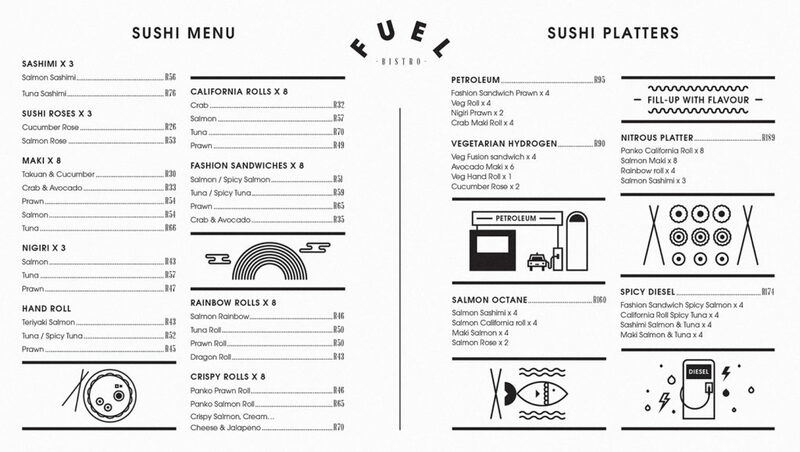 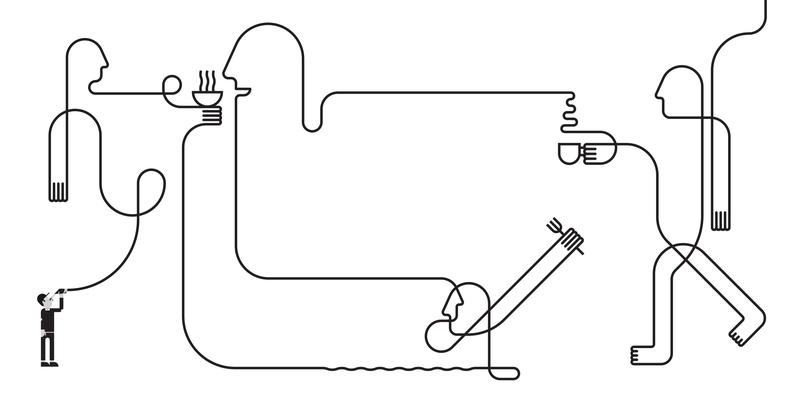 Logo, menus, window decals and food iconography were par for the course. 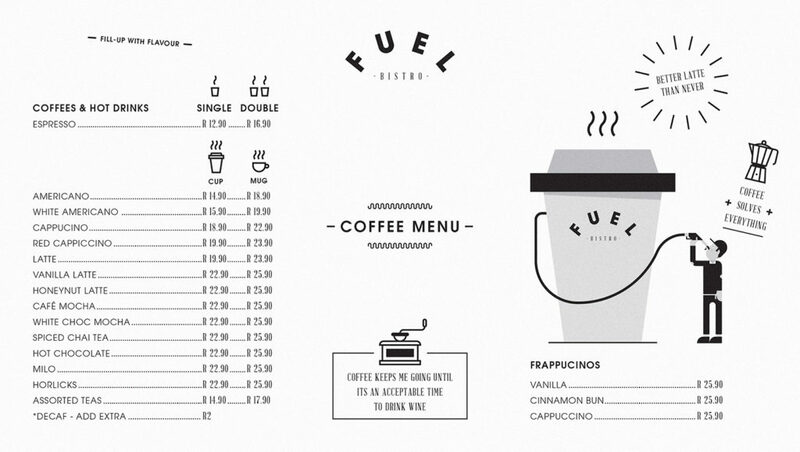 Various digital menus were designed for interior display above Fuel’s counters.